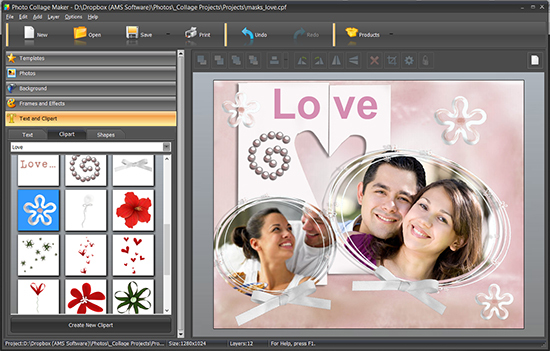 If you love all sorts of scrapbooking embellishments or cute decorations for kids' photos, have a look at Photo Collage Maker clipart gallery. 200+ clipart objects are divided into themed groups: Animals, Cars, Food, Travel, Sport, Flowers, Love etc., so you'll have no difficulty finding nice-looking clipart for any of your projects. 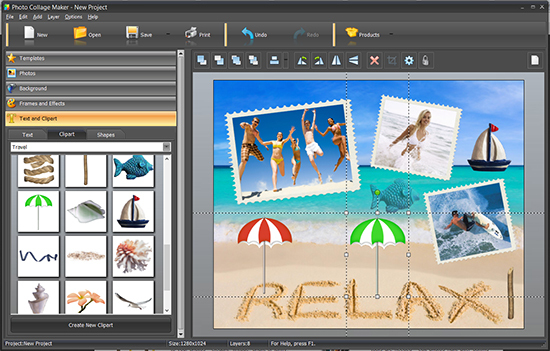 To add a clipart object to your collage, select it in the left panel and drag it where you like. When the image is on the canvas, resize and rotate it if necessary - all things done with drag & drop! 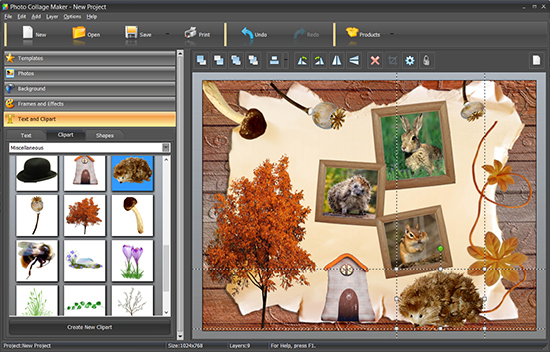 The clipart gallery is expandable - that is, you can add new images to the software collection and then use them as clipart for collage creation. Note that PNG images with transparent background work best.